In this interview with Darcia Narvaez, PhD, a firebrand for the conscious parenting movement and neuroscience researcher at the University of Notre Dame, listeners discover the connections between the infant neurobiology, the lack of cultural “morality” and the current ecological crises “created by disconnected, brain-damaged adults, a product of modern parenting practices and beliefs.” How do we heal ourselves and the cycle of damage that results in broken people, broken systems and a broken planet? Narvaez says there should be a “warning” sounded to adults considering bringing children into the world and conscious parenting educational programs in place to prepare adults for the shocking lack of support they will face in a dominator culture whose “immoral” social and political codes refuse to support the evidenced-based needs of infants. Narvaez is one of Kindred’s most popular and passionate contributors. She is a new member of our international advisory board and a Professor in the Department of Psychology at the University of Notre Dame. 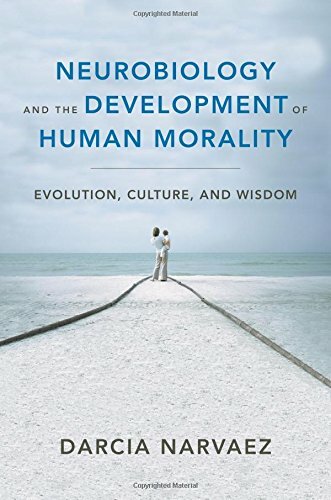 Her recent book, Neurobiology and the Development of Human Morality: Evolution, Culture and Wisdom won the 2015 William James Book Award from the American Psychological Association. In 2016, she is organizing a conference on Sustainable Wisdom: Integrating Indigenous KnowHow for Global Flourishing. You can read her work on Kindred here. 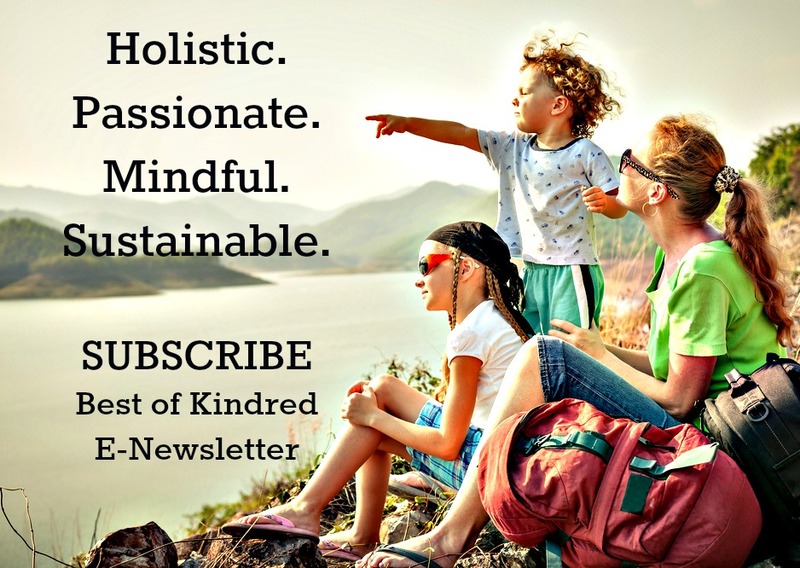 LISA REAGAN: Welcome to Kindred, an alternative media non-profit initiative of Kindred World. This is Lisa Reagan and today I will be talking with Darcia Narvaez, one of Kindred’s most popular contributors and a new member of our international advisory board. 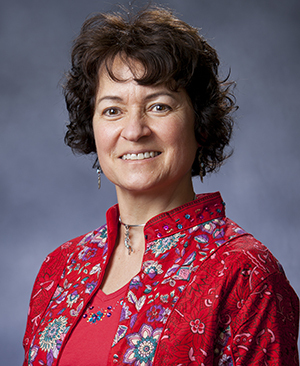 Dr. Narvaez is a professor in the Department of Psychology of the University of Notre Dame. Her recent book, Neurobiology and the Development of Human Morality: Evolution, Culture, and Wisdom won the 2015 William James book award from the American Psychological Association. In 2016, she is organizing a conference on sustainable wisdom integrating indigenous know how for global flourishing. Welcome, Darcia. DARCIA NARVAEZ: Thank you so much, it is a pleasure to be here. LISA REAGAN: I have so much that I want to ask today, but I think I would like to just start with you talking to parents about your work and just kind of bringing us up to speed on what is happening now. DARCIA NARVAEZ: Well, my work in recent years has zeroed in on early childhood as the source for I guess many of humanity’s problems, that we have forgotten what children need to develop well. Our cultures have told us that we should do other than what they need and so parents struggle because their instincts which evolved over millions of years really through the tree of life go against what the culture is saying and so there is all of this conflict. Now we have quite a lot of neurobiological studies showing how important these evolved parenting practices are. Primal parenting, lots of touching, breastfeeding, responsiveness, keeping the baby calm, multiple adult caregivers who will do these things, play, positive climate of support for mom and baby, all these things, a soothing birth, are now known to effect long term the functioning of the brain and the body and so my work is looking at those things and how they matter for moral development or ethical development and how we get along with other people as well as well-being in childhood and adulthood. LISA REAGAN: So help me understand the connection between the morality piece and the sustainability piece. DARCIA NARVAEZ: Well, for many hundreds of years, we have thought that really only humans matter on the earth, that we are the creatures that are in charge, that no other entity on the earth has any purpose really other than for human use and this idea of separating humans from the natural world, which is a very strange thing to do, but we have gotten into it in the last 200 years, makes us also feel superior to animals, plants, rivers, air, mountains, and that attitude leads to a lack of sustainable living. So what we see now are crises all over the world and all of these wars that are emerging are coming from ecological crises of drought and destruction of the environment. It does not sound strange to probably the listeners to think, oh yeah, humans are better and we’re pretty cool and look at all of our technology and aren’t we great? Well, it ain’t so cool if you look at the data. We have decimated half the species that were here in 1970! They have disappeared because of the way we behave. So, the way we use ecological systems, the way we don’t respect trees and all of the life forms they have. We cut them down willy nilly. We pollute the waters. We do all of these things without thinking that we are a part of the earth. So really through my work I have come to realize and I did not have this attitude before, maybe implicitly, subconsciously, but now I realize you really cannot be an ethical or moral person, a good person, without living in a sustainable way because you are in the web of life. Each part of us is part of a network and this is what the theoretical physicists tell us. We are all connected. Everything we do is effecting this and reverberates through the environment. Everything that we are reverberates through the following generations and so the way we behave day to day matters for future generations. It matters for all of the life forms around us at the time at the moment and so everything we do is part of a network of ethics, an ethical web, so to speak. So if we behave unsustainably and destroying other life forms around us just without thinking, mindlessly, then we are being unethical and unsustainable. So that is the link. LISA REAGAN: So this word, morality though, I keep getting hung up on it because I associate that word with religion and some people are saying that it is some of those teachings that told us we were separate and better that put us on this path to a story of superiority and we can do whatever we want. So how did you come to that word? Because I see you are also using the word wisdom in your teaching and your writing and in this conference this year and I have seen you refer to Robert Wolff’s work, The Original Wisdom, in your work and I am just wondering if by pulling this word out, how is it that you are using it in your work? I hear you saying the ethical piece, but are you aware of that old story, the religion part of it? DARCIA NARVAEZ: Right. Yes. When I was at the University of Minnesota, we worked with teachers across the state and quickly realized that you cannot say the world moral. Moral is just another word for ethical. Ethics come from the Greek language. Moral comes from Latin. They both refer to how you get along with other people, so your decisions about how to get along and how to share the benefits and burdens of getting along, that is ethics. That is morality. So we had a million dollars to work with the teachers in the State of Minnesota and we developed a set of guidelines for how to incorporate ethical development as skills within the classroom and within everything a school does. So we used the term ethical education and ethical skills, because it is not as scary, although I think people still need to know what that means. So it does mean getting along with other people. How well do you do it? Do you, for example, feel like you have to one up the other person and show off and be dominate in that moment of meeting somebody? Show how smart you are, or better you are, or you react to people who seem like authority figures and seem smarter than you with kind of submissive orientation. So that’s a one up, one down orientation to social relations, that is a destructive, dangerous set of relations. That kind of dominates our world now. It is the dominator model that Riane Eisler identified that emerged some thousands of years ago. Now, that is not what our human heritage is. You have to be punished into that orientation. You have to be traumatized into that orientation and most of us are. It is really hard to unlearn once you have been traumatized into it. But the normal, more wise, practically wise way of living is to be egalitarian towards that other person and be open and agile and creating in that moment the relationship. You don’t have to predecide and react conditionally to being superior, inferior, dominating, or submitting. Instead, you are able to come with an open hearted presence and figure out who you are in that relationship at that moment. So it takes agility. It takes a neurobiology that works well and that doesn’t immediately go into the stress response in some fashion when you meet somebody. When you have a baby that is neglected or under cared for with these parenting practices that we study, if you do not get all of those, you are going to develop the brain that more easily gets stressed out and when that happens, you are going to go into this one up, one down mode. You will want to be the most powerful, number one. Or you want to just submit to some authority who is going to take care of you. So we have that all over the world now getting worse, creating all of these wars and conflicts, etc. LISA REAGAN: Your headlines for the articles that we run on Kindred are always a little shocking at least for Americans and fearless and I just love that about your work. But you have kind of hit on the, can isolated babies become real human beings and I remember when I was first putting that out there, I ran it, by the way, with an animated picture of a child hugging a little white rabbit, because as soon as I read that title, of course I thought of the Velveteen Rabbit, that story from childhood when the stuffed animal turns into a real rabbit through compassion and his life experiences. But can you speak to that again, because I know that this is a piece that people are reacting to. They kind of don’t want to hear that, especially new parents, are resistant to this attachment science piece of what kind of culture do they find themselves in and they are now probably having this pull and biological imperative to act one way and a cultural imperative indicating something else and Joseph Chilton Pearce calls this biocultural conflict. Can you kind of speak to that for a moment? DARCIA NARVAEZ: Yeah. I think the best advice to give every new parent, every parent, is to follow the baby. The baby has built in needs and those needs are for growing well and they signal when they are not getting them and ideally, you don’t ever get the crying, screaming baby because you have already been responsive before they get to that point to figure out what it is they need. What they need is lots of holding. They should be in the womb another 9-18 months. That is quite a shock to know that. But human babies are born so immature compared to other animals that you could call them fetuses at birth for 9-18 more months. So in that time period, we ought to be giving them what a womb like experience would be, which is lots of calming, keeping them physically close on the body of the parent. This is a baseline. So I think parents need to understand and be educated about what the baseline for babies is and when you don’t give the baby its baseline needs, you are going to end up with trouble. 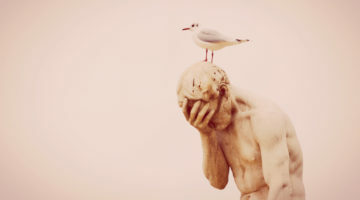 Somewhere maybe, you don’t see it immediately, but maybe in adolescence or adulthood, depression, anxiety, all sorts of other things can happen as well as a bad or under performing immune system. Because all of this stuff is developing in those first few years from parent care. LISA REAGAN: So I want you to speak to one other article and then I want to move onto parent leave. But can you just speak to your article for the year, the one that made our top ten list last year, is “Bullying starts with babies.” You are on this path now, but I would like to hear… our culture now is so set up for separation. Separation at birth and separation of parents and there is no parenting leave like they have in other countries, 6 months to a year for parents to have this bonding time to meet their child’s needs. What is being taught? You answer this in the “Bullying starts with babies” article. DARCIA NARVAEZ: Well, I don’t have it in front of me, so I don’t know exactly what I said there, but bullying for me means that you are deciding for the other person that what they need doesn’t matter. That you are placing your own needs first and those are of power, power plays. So parents too often by even parent advisers are encouraged to ignore the baby’s needs. Don’t look at them. You know, when you sleep train, don’t look at them in the eye, or you know, I know one parent adviser plays a tape of a baby crying to the parents that she has in class to try to desensitize them to baby crying. This is insanity and for me, it is unethical. It is unethical parenting advice and it is unethical parenting. DARCIA NARVAEZ: Yes, immoral is another way to put it. Because the baby is just there in this very needy state and you have decided, no, sorry, you are going to be treated like a prisoner, isolated, punished for your needs, and the baby then has to learn to be a victim. The baby is immediately victimized and learns not to trust themselves, not to trust their own impulses for being close to others, for signaling and wanting to play with others, for communicating, and once you start the distrust route, you have now set that baby up for distrusting people in general, but also distrusting nature. Again, the routes for this superiority and separation from nature that are killing us off on the planet here are routed in the way the baby is treated. If you bully the baby, you are essentially creating a bully of that baby towards the natural world. Oh, I’m sorry, I’m pretty strong minded here. LISA REAGAN: I love it. I love it. I absolutely love it. 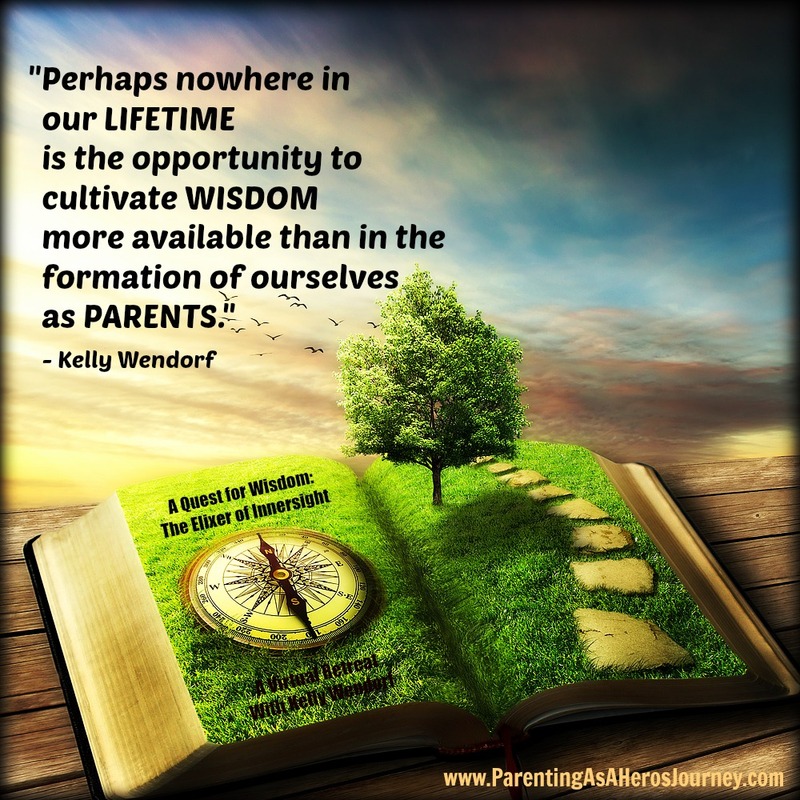 Really, when I read your articles I feel like I am reading the most common sense obvious statements and I know that in the 18 years that I have been a part of this conscious parenting movement, it is these parents that we form these grassroots parenting groups with and connected to, that are also feeling the same way. They read your work and I just feel validated. Well, of course. Well, of course. I was one of those moms that somebody gave me the baby wise book and I kept reading it and reading it and I kept thinking, where is the secret? Where is the secret here to getting your baby to sleep? It was just letting them cry it out. I remember trying to do that and it was horrible. I felt horrible. My child looked at me like you’re the worst mommy in the world, I mean, really, he was a 6 month old baby with the total capacity for telling me, you are doing it wrong. You’re not doing this the right way. So I appreciate that you’re fearless in your opinions. I appreciate it. And they are science based, so what are you going to do with that? LISA REAGAN: So, here we are in the United States especially, as we are talking about this a little bit before we started recording and how different it is in other countries. Can you help us imagine, because I think this is a part of the problem, trying to get parents who have now been socialized and conditioned exactly as you just described, not to ask for what they need, not to demand what they need. I need time to bond with my baby. I need to have paid leave from my job and not have my career negatively impacted because I am going to take time with my family. These kinds of ideas, and this is from speaking with parents, are so… we can’t have that. We couldn’t ask for that, what are you talking about. But it is that way in other countries. Can you just speak to that for a moment? That idea of what would babies get and what do parents get in other countries? DARCIA NARVAEZ: I know a little bit about what is happening in the other countries because I mean, it is just such a shock if you know anything about what parent’s lives are like in other places and realizing that the USA is like the only one of two countries that doesn’t have paid maternal leave in the whole world. I think the other place is Somalia, right? So, really? Is that the quality of life that we want to provide our citizens? One thing the other countries are doing is they are paying attention to the science and the research. For example, the World Health Organization in the 1990s came out with a directive to have baby friendly hospitals. Well, Sweden immediately changed all of their hospitals to be baby friendly, which includes not giving formula or sugar water, not separating mom and baby after birth, all of these things undermine baby’s health. But the USA only finally woke up to this in 2011, when they told us that only 4% of hospitals are baby friendly at that time. I think we’re up to something like 12% now. But just think, we are just sort of behind the times and part of it is the education. There is not enough good education about what parents need. So in these other countries, what they do is they provide at least a year of paid leave. Often it is the mother, but sometimes a father is supposed to share that time. In France, they provide laundry service for new parents. They will come to your house and do your laundry for you. They will cook for you. They have nurses that come by to visit to see how things are going and we know there are a bunch of research studies showing that when parents have a nurse coming by regularly, they are better at breastfeeding, they are more responsive to the child, which these things have long term effects on personality and well-being in childhood but also in adulthood. So in effect, they are building a stronger society. When you don’t provide what parents need to meet the needs of their children, you are undermining society. You are kind of rotting it from the inside. So I think we have to be much more proactive about demanding, like you said, demanding that we have at least a year of time to relax and get to know our baby and be responsive and not worry about having to go back to work so I’m not going to breastfeed. We also have to train the medical personnel because they also often get families off on the wrong foot often by the way they treat the baby. LISA REAGAN: Right. I have seen that in hospitals. What is the piece there that is preventing this transition to baby friendly hospitals? It seems that it is the formula company has established their culture there. I have written about this on Kindred in Virginia and the lactation consultants who are there are not, I like to see people like lactation consultants as these wellness champions, but they don’t perceive themselves that way. It is the hospital and the formula culture and they don’t have the power that I would like to see them have there as well. James McKenna has talked about this too and I know he is a colleague of yours at Notre Dame and that is also on Kindred under “Breastsleeping.” For our listeners, you can hear Dr. McKenna explain those connections. What is happening in hospitals and where is the breakdown there for that piece. But when we’re pitting your science and your insight, millions of years of evolution and then the systems that are in place, have this clenched fist. They are very resistant to change. They are just not interested. What do you say to parents who are feeling a desire to parent differently, who want to break with the systems in place? DARCIA NARVAEZ: Well, it is a challenge. You have to find your support groups. I know we were talking before the recording that sometimes parents don’t realize what they need until after the baby has arrived and then they realize, whoa, I’m not getting the support I need, or why did they do that to me at the hospital, or whatever. They don’t realize early enough that they need support even before the baby arrives. So I think groups like Attachment Parenting International, and Kindred, to people who are planning to become parents and future grandparents, should be reading and educating themselves about all of these things. Somehow there is this mistake and notion that oh, it just comes naturally to be a parent. Well, to some degree, yes, not everything, but then you have the culture that is pushing you the other direction and undermining your instincts and undermining your compulses to be compassionate to your baby. So in a way, we need a warning system for anybody who is planning to become a parent and then tell them, beware, beware, beware, and come over here and learn more, and you know, basically follow the baby is the bottom line message. The baby will tell you what it needs, just be sensitive to it’s facial expressions, it’s body expressions, so it doesn’t have to cry to get it’s needs met. LISA REAGAN: So let’s go a little further down the road of just seeing how fearless you are, because before the call, I had thrown out that phrase and said, our organization in Virginia worked closely with Joseph Chilton Pearce and very influenced by him early on in our development and we will be 20 years old next year. He is here in Charlottesville in Virginia. He had that phrase, the bio-cultural conflict, but you said we’re beyond that now. We’re not just looking at parents and people who are struggling with biological imperatives versus cultural imperatives. You said, now we don’t even know how to live on the planet. Now we have ecological imperatives that have gone. Can you kind of speak to that? DARCIA NARVAEZ: Right. I think I mentioned earlier that when you don’t give babies what they need, they start to become divorced from their own needs. They don’t even know how to express them after a while, because you suppress their communications and when they don’t know what they need, they can’t pick up on what others need either very well and you turn into kind of, your social relations become coercive. That’s all you know is to force things out of people and force things out of the earth. So people call that a violent way of living. Rather than negotiating, because the whole natural world is a negotiated space. People like to focus in on the competition and oh it’s all out there, it’s a dog eat dog world, you know, that’s not the way nature is. That’s the way media likes to focus on and tell us about and scholars who benefit from keeping the political status quo like to push that view, but that is not how the natural world works. We have got eons of cooperative system and even our bodies. Your body is 90% genetically not human. You are a host of organisms, micro-organisms keeping you alive. If you wipe them all out, that’s what antibiotics can do, you can get very sick. We know that antibiotics in early life is related to health problems in children now because you’ve wiped out all of the good bacteria that keeps you healthy. So I am going off on my little tangents here. So, the cultural ecological crisis then that we have comes back to that divorce essentially from nature that we have been living in this dream space almost trying to escape from the earth and being part of nature that has been part of the religious dogma in some fashion. Not all religions, but the ones that dominate right now. So we need to understand ourselves and get back to connecting to the earth to the creatures around us and to the animals and plants and feel connected and that is a right hemisphere brain development aspect of who we are that is developed in those first years of life. So, when you undermine babies development by leaving them alone and letting them cry, not giving them much physical affection, just distressing them, what is supposed to be happening is the right hemisphere capacities are supposed to be growing at that time and they are related to self control, self regulation so they can be intimate with others. A sense of communion with the world. Instead of growing that kinds of capacities, you have put them in a state of distress. So what you’re growing instead is the stress response and the inability to grow. Because the stress response releases lots of cortisol and cortisol in high amounts kills of synapses and changes gene expression and makes you just less well and less capable of thinking very imaginatively. So we end up with half humans, sub-humans really, is what we have created ourselves to be and just are so unaware of the communications from the rest of the planet and the rest of the natural world. Our indigenous cousins and we have wiped out many of their traditions, but in their way of living close to the earth, they are very much aware of what the wind is communicating. What the winds mean, or what the animals need, and they are worried about sustaining the life of all of those creatures around them and it is much more of an integrated lifestyle than what we have now is we spend much of our time inside. I think it is less than 24 hours a year that on average that people spend outside, which is crazy. LISA REAGAN: So, here are three words that I think take us into a place of healing hopefully, and I would like for you to just speak to those three words. I see you writing about them with your students. The words are neuroplasty, resilience, and wisdom. DARCIA NARVAEZ: Yeah, so we are especially in early life, very plastic, neurobiologically plastic, but there are certain sensitive periods for establishing certain systems. 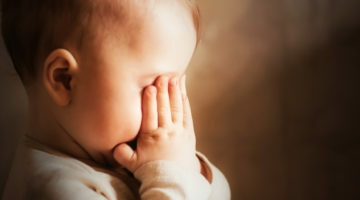 So if you don’t get touched a lot in the first 6 months of life, it seems that you are going to be more prone to anxiety, for example, because there are genetic things that are being turned on and ready to be turned on at that time point, so if you have missed the window, then sorry buddy, too late, you can’t change it. But there’s a lot of other things that are plastic and there are ways to reorganize your brain later if you didn’t get what you needed as a child. You can meditate and learn how to work through your emotions and figure out what your needs are and do all sorts of therapeutic things with a therapist or on your own to get back to that. So there is a way that neuroplasticity lasts through life, but there is critical periods that we are not sure you can change like how your immune system functions, which is also established in early life. We just don’t have the research on that. We can’t do experiments on people. In terms of resilience, resilience I think is a catch word. You know, I hear Hollywood movies, adults saying, oh well I should go take care of my child and the other adult will say, oh no, kids are resilient, don’t worry about it. So it’s become a word that is used for doing what you want, kids will recover. That’s a mistaken idea. Early on in the research on resilience, the notion that I heard was that, it is great, we want kids to be resilient. They didn’t drop out of high school. They didn’t go to jail. Wow, woohoo! That’s great, that’s all we need. Well, that’s getting back to zero, you know. It’s like they’re not below par. They’re just at par. Well, let’s think about human potential instead. We face so many problems now, humanity, that we need our best minds, our best selves are optimized and human potential needs to be reached and so if you are thinking about that instead of just keeping kids out of jail, that’s a different attitude towards your children. You want to meet their needs. You want to make sure that their neurobiology grows well, so all of their other functions, which rely on that good neurobiology are going to function well too. What was your third word? 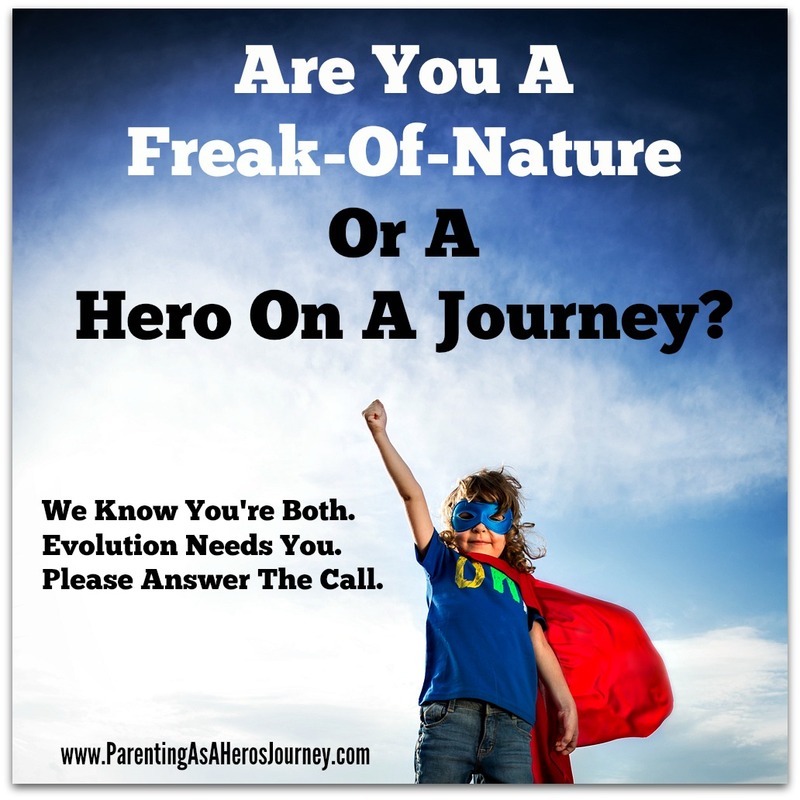 TAKE AN ON-DEMAND PARENTING AS A HERO’S JOURNEY! DARCIA NARVAEZ: Wisdom, yes. So in indigenous societies, traditional societies, small band hunter gathers, not complex hunter gathers. There is distinctions to be made there, but I am not going to go into it because it takes too long. Small band hunter gathers are those who don’t have possessions and they are migratory, so they are moving around a particular landscape through the year or years. In those societies, you can see that people develop wisdom. It is just a matter of normal development because they are not divorcing children from themselves. They’re not divorcing themselves from the environment. They live naturally in it and it emerges naturally from being cared for like a companion. I call it companionative care, providing what is needed, enjoying each other, learning to live on your landscape, without destroying other things, you know, with minimal destruction. In these societies and we can see it also in the Native American and traditional societies at least when they’re not traumatized, the elders become wise. They are rather wise. They think about future generations. They think about all of the possible impacts on others and they are much more communally oriented. It is really hard to find those kinds of adults I think in the USA today. We have people we are very self interested and political. We try to be dominate and not thinking the big picture. Even if they are thinking the big picture, it tends to be focused only on human welfare. So when they talk about well-being, they talk about humans. If they talk about ecology, it is about humans getting the ecology they need rather than thinking about all of the animals, plants, mountains, rivers, as part of the community. They are entities with their own purposes that we don’t understand that also need to be respected and honored and part of our planning process. LISA REAGAN: So this conference that you’re going to be a part of this year, I was very happy to see the title of it and that you’re going to be speaking and a part of it. It looks wonderful. 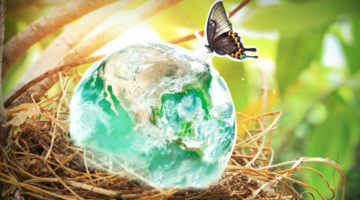 Sustainable Wisdom: Integrating Indigenous Know-how for Global Flourishing. This seems like a really needed and timely vision and discussion. Can you kind of speak to that? I know it is organized by the Native American initiative by Notre Dame, too. DARCIA NARVAEZ: Right. So we have been working on it already for a year and we have 20 speakers or so lined up, mostly indigenous from around the world. We are going to incorporate art. We will have an artist in residence, a poet in residence, a Native American in residence, and then we have various topic areas. So one is on understanding history, our human history, our indigenous history and how to preserve that, how indigenous people know and learn (it is very different from schooling, which we have somehow decided how people learn is to learn from a book and to memorize facts and then take a test and that is really crazy). It doesn’t help you live on the earth. So the kind of knowing and learning is about integrated, knowing your landscape, knowing what helps all of it flourish and then you too. Learning from the land, holistic kind of orientation and connecting to nature. We have ways of being and becoming a virtuous person. We are talking about healing a spirituality and doing science, ways of doing science, and then ways of leadership. We are trying to bring in the indigenous perspective on these things and then have panelists of people from the mainstream way of doing things react and try to integrate all of that information into transforming our society and our ways of doing things. Right now, we are very unsustainable in so so many ways. LISA REAGAN: Especially in the way we create people, humans. LISA REAGAN: So is there anything else you would like to share with Kindred readers? DARCIA NARVAEZ: Well, I think we want to realize that we don’t have to be this way. We don’t have to live this way. There are alternatives. I think each of us has to sort of find our path and to educate ourselves about what those alternatives are and part of that path is self healing. So I had to go through, I mean, I am still working on my own self development. I am learning not to react with this one up, one down orientation, I call it a protectionist ethic, when I am with other people, because I grew up in a household where that’s what you did. I try instead to be openhearted or open-minded when I meet somebody or I am with people, so to try to keep the stress response from kicking in. So I breathe deeply, I try to keep myself calm so that doesn’t kick in and then to continually think in a broader manner. So it is not just the protectionist orientation is just thinking about me being okay and unfortunately, our college students and possibly other adults are focused on that most of the time, but to move away from that and to thinking about you and me, me in the moment with you, us here. You know, that co-creation of the relationship right now, the interpersonal dance, the fun and playfulness back and forth. That is good too. But that is not enough either. You have to think more communally, imaginatively. Think about things that aren’t in front of you, possibility of future planning and in that space, to think then broadly about the impact you are having on the decisions you are making now, the actions you are taking now, and how they are going to effect future generations, the people on the other side of the world, and all of the animals, plants, rivers, mountains, and natural forms around you. So that’s morality. That’s ethics. That’s ecological wisdom. LISA REAGAN: Well, thank you so so much for the work that you are doing and thank you for the writing that you do and I just love, again, your titles are always riveting and your work is fearless and I am so grateful to you. So thank you. Thank you for writing for Kindred and thank you for coming on today to talk with everyone. DARCIA NARVAEZ: Thank you so much Lisa. It’s been my pleasure. Darcia Narvaez is a Professor in the Department of Psychology at the University of Notre Dame. Her prior careers include professional musician, classroom music teacher, business owner, seminarian and middle school Spanish teacher. Dr. Narvaez’s current research explores how early life experience influences societal culture, wellbeing and sociomoral character in children and adults. She integrates neurobiological, clinical, developmental and education sciences in her theories and research about human nature and human development. She publishes extensively on moral development, parenting and education. Recently she has been studying the Evolved Nest and how it influences wellbeing, sociality and morality. She hosts interdisciplinary conferences at the University of Notre Dame regarding early experience and human development (the talks and/or powerpoints are available online). In 2016, she organized a conference on Sustainable Wisdom: Integrating Indigenous KnowHow for Global Flourishing (talks available online). She is the author or editor of numerous books and articles (downloadable from her website). She is an advisory board member of Attachment Parenting International and the Association for Pre- and Perinatal Psychology and Health. Her recent book, Neurobiology and the Development of Human Morality: Evolution, Culture and Wisdom (2014), won the 2015 William James Book Award from the American Psychological Association and the 2017 Expanded Reason Award. She is former executive editor of the Journal of Moral Education. Darcia serves on the board of directors for Kindred World, is a contributing editor for Kindred Media, and will be launching a science think tank, the Evolved Nurturing Initiative in 2018. Wonderful and important, but pretty much the same theories as what Maria Montessori developed 100 years ago – acknowledge your source, at least!